Once you've covered off most of the beginner and intermediate tricks, it's time to move onto an advanced YoYo to really showcase your skills to your friends! 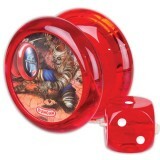 Advanced-level YoYos tend to be exquisitly crafted pieces that are extremely well balanced, allowing you to take your YoYo skills to the next level! 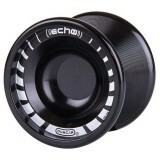 Browse our advanced YoYos below! C3yoyodesign's latest throw is part of their Essential Series and is called the Accelerator! 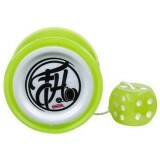 &nb..
C3yoyodesign has got together with the yoyo making magic from Magic YoYo to release the finger-s.. The Duncan Freehand™ is the original counterweight yo-yo that started it all! With the introduct.. The Freehand yoyo is probably Duncan's most iconic yoyo, and now it's been redesigned and it's b.. 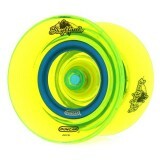 The Duncan FreeHand Zero™ (FHZ) is a favorite among yo-yo players worldwide and has been used to.. 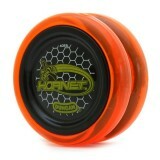 The Hornet is Duncan's ripping answer to a looping yoyo! Designed for beginners to professionals.. 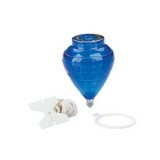 The Imperial® Spin Top was designed with the beginner in mind. Its light-weight body and ..
Magic YoYo have released their version of the Begleri at a great price! The Begleri, orig..